Join us on our half day Wachau valley with optional Danube River cruise or Melk Abbey tour from Vienna and discover the most enchanting section of the Danube Valley. The Wachau Valley boasts a rich culture and history and offers picturesque countryside scenery. The region is arguably the best wine-producing region in Europe. 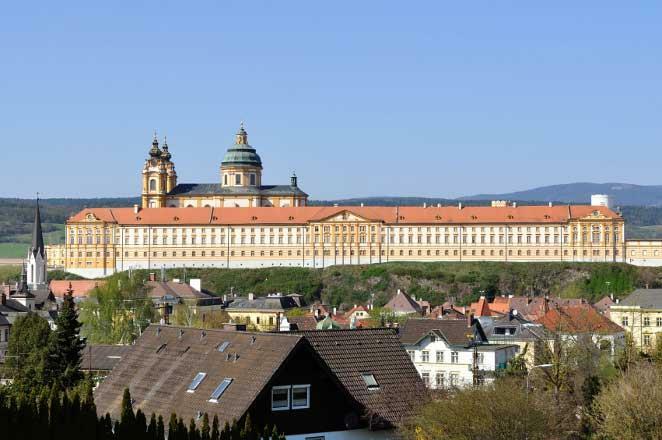 You’ll enjoy a short drive from Vienna on your way to the town of Melk where you can take a quick photo of the renowned Benedictine Monastery (Stift Melk). Afterward, you’ll take a fifty-minute scenic boat ride along the river Danube from Melk to Spitz. On board, your guide will give you interesting stories about the area as you pass by little villages, vineyards, fruit orchards, Fortresses, and Palaces. On board, you will get a chance take a bite, a cup of coffee or a glass of local wine. Once you arrive in Spitz, you'll be driven through little villages on the way to Dürnstein, a UNESCO heritage site. 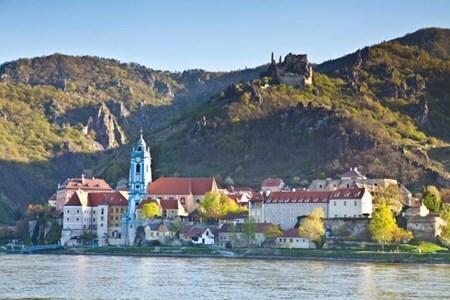 Dürnstein is the most picturesque town in the Wachau and has amazing views of the Danube and adjacent vineyards. During your free time, you can hike the ruined castle where Richard was imprisoned in 1192, shop, or explore the village at your own pace. Enjoy a 1-hour scenic boat ride along the impressive river Danube (from May 1 to Oct 4) or a guided trip through Melk Abbey. Free time to discover Dürnstein. Come and enjoy a fun day sampling wine at over 100 wineries in one of the most picturesque wine regions in Austria. 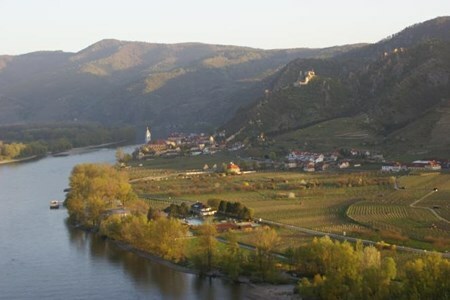 The Wachau Wine Spring festival is one of premier wine events in ... moreAustria, attracting over 40,000 people annually. Over 100 wineries open their cellar doors allowing guests to taste and buy some of the best wines and Schnapps in Austria. You’ll be accompanied by your guide who will introduce you to some of the best wines and wine producers in Austria, including, Emmerich Knoll, Josef Jamek, Leo Alzinger, F.X Pichler, Leo Alzinger just to name a few. Top varietals grown in the area include Pinot, Riesling, Sauvignon Blanc, Yellow Muscat, and Gruner Veltliner, the primary varietal in Austria. You’ll have plenty of time to explore the charming villages at your own leisure throughout the day, taste locally produced chocolate, schnapps, and liqueurs. You’ll savor a traditional Heurige plate for lunch at a little local wine tavern, with an attractive garden setting, opposite the river Danube. Your guide will collect you at your Vienna hotel, and then transfer you to the main station. You’ll then enjoy a brief scenic journey through the breathtaking Austrian countryside on the way to the town of Melk. 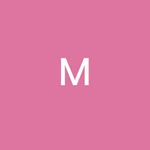 In Melk, you'll break for a photo session of the awe-inspiring Benedictine monastery “Melk Abbey” followed by a scenic Danube river cruise from Melk heading to Spitz. From Spitz, you’ll cycle on well-surfaced paths along the bank of the River Danube, passing by monasteries, castle ruins, baroque palaces, vineyards and fruit orchards. You'll stop along the way for an optional wine tasting, take photos, or just admire the picturesque wine country scenery. Your guide will give you numerous captivating stories and anecdotes about the region and also show you the best trails, wineries, and photo stops. The guide will take you to a perfect lunch stop where you can dine on local cuisine. You’ll tour the towns of Weissenkirchen, Dürnstein, Joching, Spitz, St. Michael, and Loiben on this private Wachau Valley bike trip from Vienna. 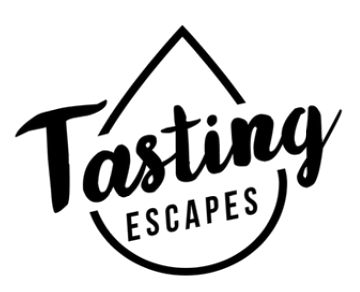 Are you a wine enthusiast looking for a unique wine tour experience? 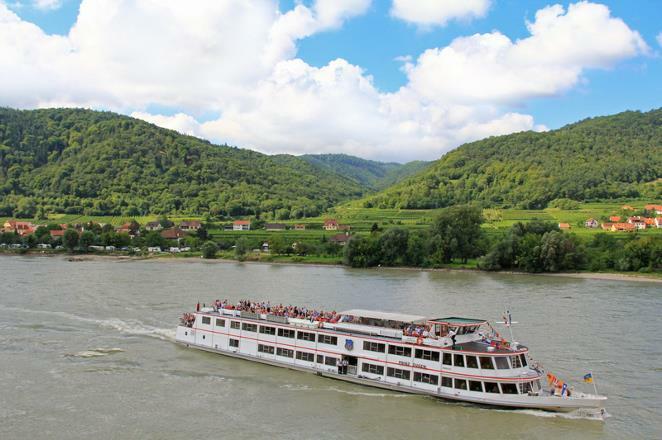 Join us on our Private Wachau Valley Food & Wine Day Trip with Danube Cruise, where we take you to two to three ... morewineries to sample a range of wine styles from fruity whites, crisp, to dessert wines and everything in between. This tour features the Wachau Riesling and Gruner Veltliner, and your guide will introduce you to some of the finest wine in the area. 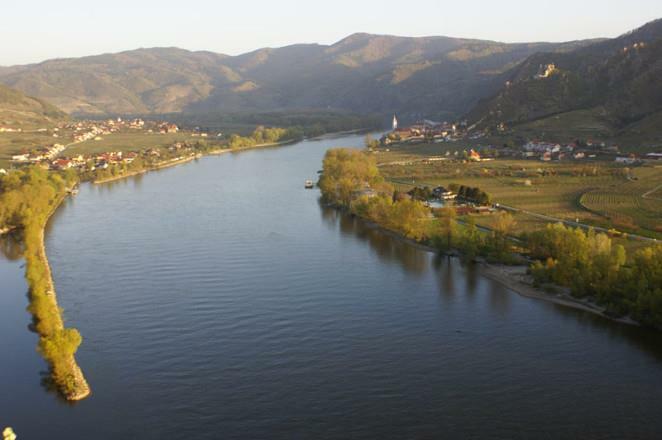 Wachau Valley is renowned for its fine wine and the breathtaking countryside scenery. 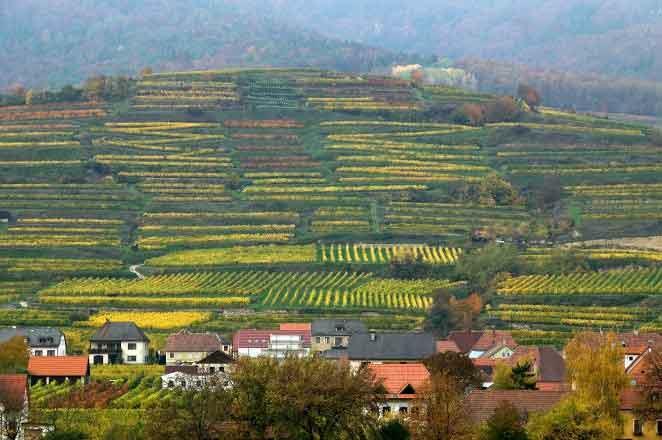 We have traversed Wachau Valley for over 11 years, and we’ll help you explore Wachau as no other tour operator can. You'll be driven along farmer backroads off the beaten path on the way to the best viewpoints in the area, for a perfect panoramic photo session opportunity. We’ll tour a traditional Austrian wine tavern (Heuriger), for lunch or a glass of wine, we can also dine at one of the numerous local restaurants that offer local and seasonal cuisine. You can spend your free time to explore the magical town of Dürnstein (it is here that Richard the Lionheart was imprisoned in 1192). We’ll stop in Spitz to sample cheese and organic wine, and also tour a boutique store to sample locally made Liqueur, Schnapps, Mustard, Jam, and Chutney. You can choose to take a scenic boat ride along the magnificent River Danube or tour the Melk Abbey to take in the Baroque masterpiece. Our tours are fully flexible and we can customize your tour to suit your preferred requests.